Dear D.Trance Community, finally our new homepage is online. In the new design and with new features. If you do not receive CDs of our label in the trade, you can also order at amazon.de. If you have any problems or requests for changes, just send us a message via our contact form! 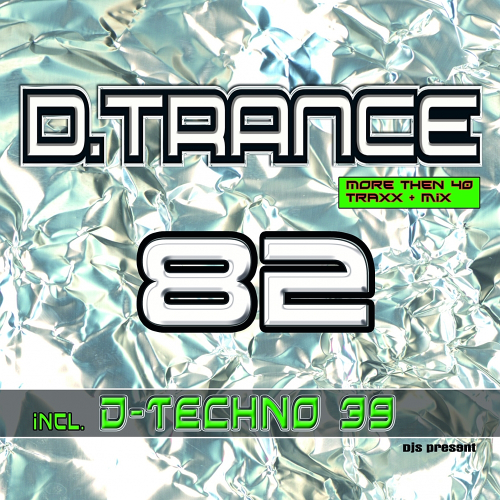 The 82nd edition of the D.Trance again contains an extra CD D-Techno 39. On the first two CDs are the boards for the summer of 2018. The whole spectrum from trance over Hardtrance to 90s oldschool trance like the track F1end - Free Your Mind. Included are Traxx and Mixes by MarLo, Talla 2XLC, 2 brand new guitars by the label Aqualoop, Daniel Kandi & Exouler, Space Raven, Cocooma, Madwave and many more ... On CD 3 Myde has the hottest Traxx to a terrific DJ mix arranged. The selection of the D.Techno 39 captivates by big names like: Technoboy, TNT, Tuneboy, Sound Rush, D-Block & S-te fan, Betavoice, Rebourne, Wasted Penguinz and Adrenalize or The Prophet.